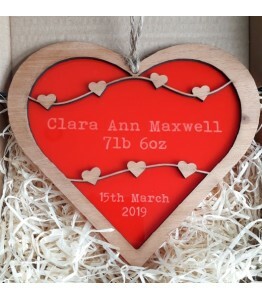 Laser engraved personalised baby gifts. 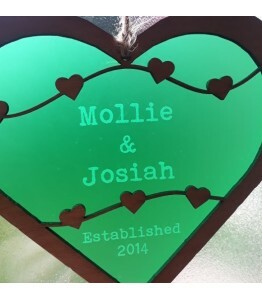 Personalised with your own message suitable for a wedding, anniversary, baby announcement or va.. 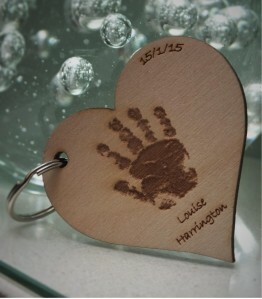 Your childs hand and foot prints laser engraved into solid oak.Includes name and date of birth or y.. 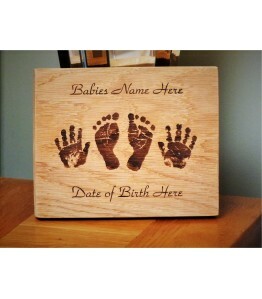 Your childs hand and foot prints laser engraved into birch wood and framed.Includes name and date of.. Your hand/foot/paw print/own art work laser etched into 3mm birch wood.Approx. 56mmx61mmPlease note ..